Costco (NASDAQ: COST) has not raised membership fees in the United States and Canada since November 2011, and CFO RIchard Galanti hinted during its Q1 earnings call in December 2016 that an increase was coming this year. Those hints will become reality on June 1. The warehouse club said in its Q2 2017 earnings release that it will increase annual membership fees by $5 in the United States and Canada for all its basic "Gold Star" individual and business memberships. That raises the cost of those plans to $60. In addition, the company will increase the cost for its Executive Memberships in the U.S. and Canada from $110 to $120 on the same date. Executive members get 2% back on eligible purchases at the warehouse club with a previous limit of $750 cash back each year. Under the new pricing structure, that amount will rise to $1,000. "The fee increases will impact around 35 million members, roughly half of them Executive Members," the company said in its Q2 earnings release. What does a price increase mean? It's important to note that any increase in membership fees takes a long time to fully hit the bottom line. That's partly because memberships come up for renewal on a rolling basis. Customers pay for a year at a time, and there's no monthly option. In theory, that should mean that after 12 months, the full impact would be felt. But that's not the case, according to Galanti, who spoke on the topic during the company's Q1 earnings call, which was transcribed by Seeking Alpha (registration required). "Membership fee increases take about eight fiscal quarters to get into the income statement on the membership line because of deferred accounting," he said. Translation: The impact of an increase won't start hitting until a year after the June implementation. This product is one of a few imported oils tested that met international and U.S. standards for extra-virgin olive oil, according to a study by University of California, Davis. Consumer Reports gave Kirkland Signature Bacon an 'excellent' rating. This booze received top marks from Tastings.com, as well. Costco-brand vodka is praised for its great taste and low price. 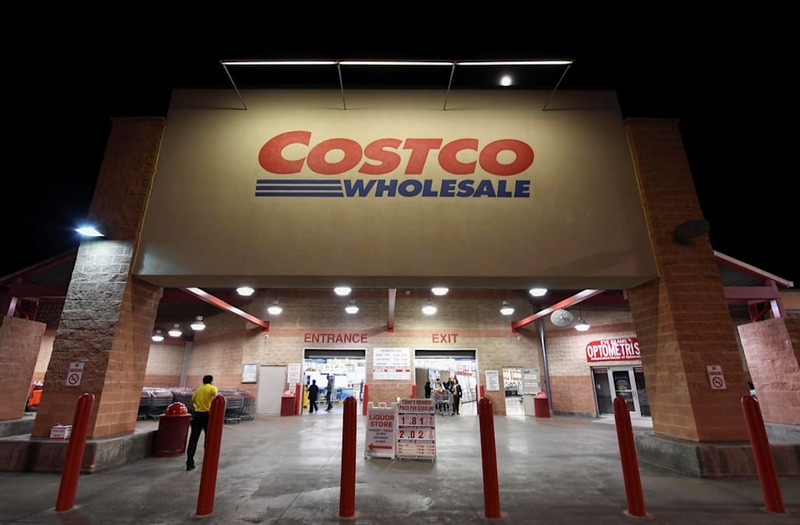 Costco's comparable-store sales rose in Q2 by 3% in the U.S. and 8% in Canada, while the warehouse club's other international markets actually saw same-store sales declines of 2%. Factor out the impact from changes in gasoline prices and foreign exchange and the numbers look a little different. U.S. comp sales still land at 3%, while Canada's drop to a 2% gain, but the international stores show an increase of 3%. In both scenarios, the total company saw comparable-store sales come in at a 3% gain. Companywide, net sales for Q2 were up 6%, to $29.13 billion from $27.57 billion last year. Through the first two quarters, net sales were up 4%, to $56.60 billion from $54.19 billion in fiscal 2016. Costco also reported net income for Q2 of $515 million, or $1.17 per diluted share. That's a drop from Q2 2016, when net income came in at $546 million, or $1.24 per diluted share. However through the first two quarters of 2017, net income has climbed to $2.41 per share, up from $2.32 during the same period last year. What does this mean for Costco? The company had a solid, albeit pedestrian, quarter as it nearly always does. The major news from the earnings report is the price increase, a move that likely surprised very few people. Members are not likely to be spooked by a $5 or $10 increase after five years of level pricing. This was a very modest increase, with members getting a few months to get used to the idea. Costco probably could have asked for more, but doing so might have led to some customers not renewing their memberships. Handling it this way should stop that from happening, and the company will likely continue its slow trudge forward. David and Tom just revealed what they believe are the 10 best stocks for investors to buy right now... and Costco Wholesale wasn't one of them! That's right -- they think these 10 stocks are even better buys. Daniel Kline has no position in any stocks mentioned. The Motley Fool owns shares of and recommends Costco Wholesale. The Motley Fool has a disclosure policy. Will Costco Wholesale Start 2017 Strong? Will Costco Announce Higher Membership Prices Tomorrow?